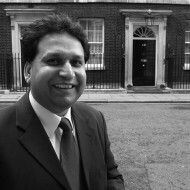 Barnie Choudhury is a multi-award winning media professional and academic with expertise in community engagement, the criminal justice system and diversity. Barnie worked for the BBC for 24 years prior to becoming the lead tutor for the University of Lincoln’s School of Journalism’s TV modules. He also represents UK universities on the Broadcast Journalism Training Council and is a Company Director, as well as a board member of the Centre for Journalism Research and adviser with Ofcom.